So you’ve made the decision and your new Wake model is home. You can’t wait to get out on the water. One of two things come to mind. It’s either, “I have never towed someone before. How do I do that? 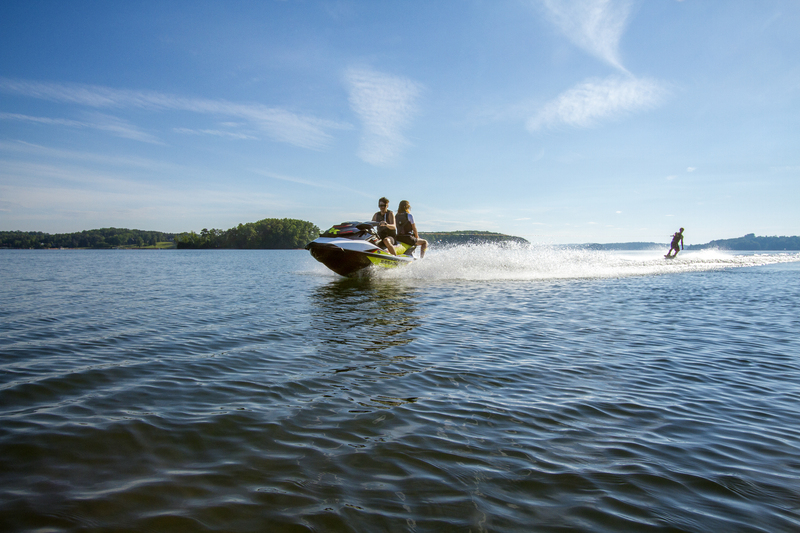 What’s right and wrong;” or “I’ve got this, let’s go.” Whichever way, safety is important so here are 7 basic tips for Sea-Doo towing. 1. Know your local laws before towing. Most states require that the watercraft is a 3-passenger with mirrors, with a driver and a spotter. Some states require safety signal devices. Check www.boatus.org for the laws in your state. 2. 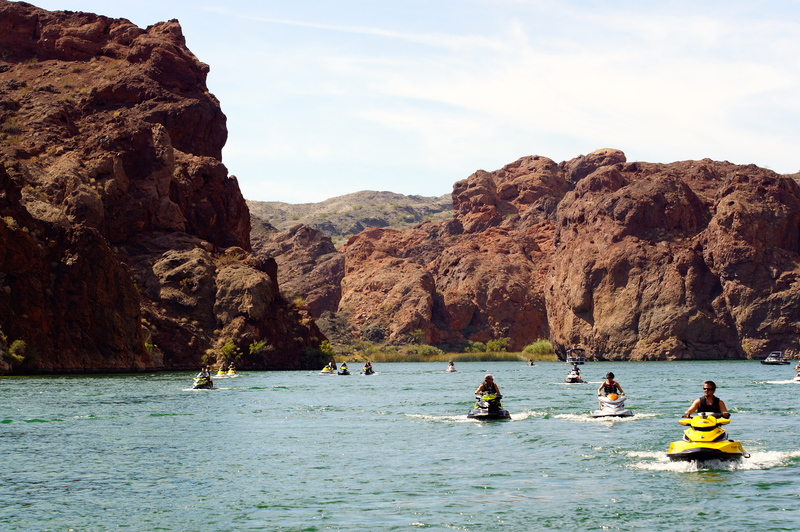 Make sure your rope is secure to the watercraft, either a ski pylon or tow eye in the rear of the watercraft. Do not tie ski rope to anything that was not manufactured to be used as a tow point. 3. Take note of a person’s ability. Driver’s should practice without a skier, and focus on smooth accelerations and maintaining a steady speed. On Wake models (WAKE 155 & WAKE Pro 215), SKI mode is a standard feature and can be turned on to accomplish this. SKI mode is an advanced iControl feature that allows the driver to adjust the intensity of the launch for different rider skill levels and tow sports while maintaining a constant speed. You get 5 acceleration profiles for the best possible tow sports experience. 4. Once your skier is in the water, take the slack out of the rope. Begin idling once the slack is tight. 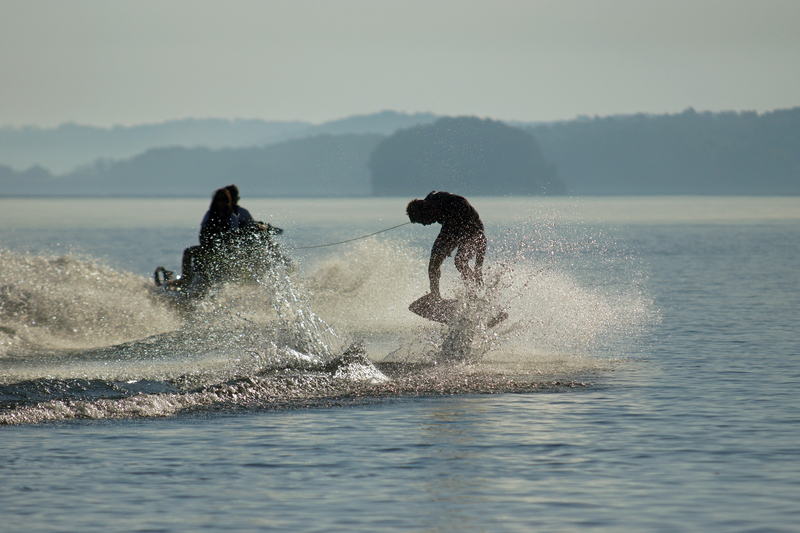 Then when the skier signals that they are ready to go, accelerate enough to pull the skier up on the top of the water. Get to your preferred speed and maintain that speed. 5. Always look forward, not behind at the skier, that is the spotters job. 6. When the skier is done or falls, come down to an idle, slowly turnaround without running the rope over, maintain a steady, slow speed back to your skier. Loop around behind them so they can reach the rope, and start all over again making sure you never aim straight at your rider, always stay to the left or right of them during your approach. 7. Signals for sking: thumbs up (faster), thumbs down (slower), fist on your head means you are done and you are going to let go of the rope (stop). Want to know more? Check out our DOO it playlist on Youtube. 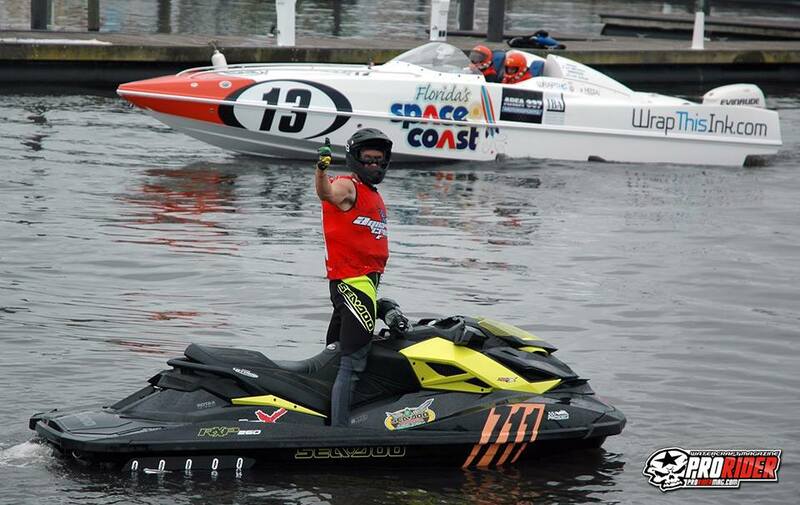 Here’s a video that will surely spike your interest for tow sports and get you ready to take on the waters. 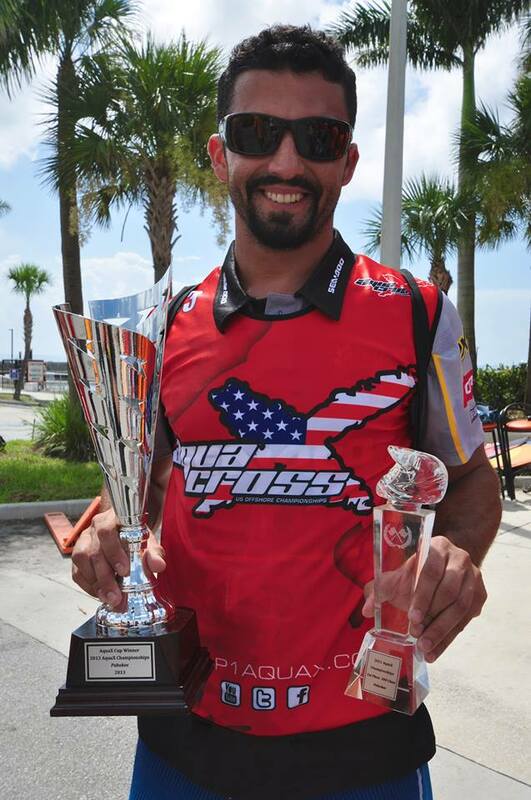 advanced design, behind the design, best sea-doo, better, brp design, design, fast, fun, fzr, fzs, horsepower, innovation, inspiration, jetski, performance, pwc, racing, red dot award, rxpx, Sea-Doo, supercharged, tight turning, ultra, watercraft, x-series, x-team. 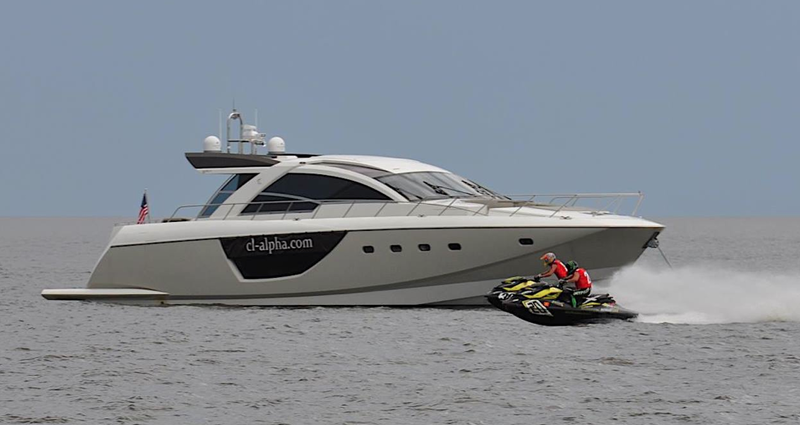 When the word “design” is discussed in the recreational products industry BRP is usually one of the first companies mentioned in the discussion. 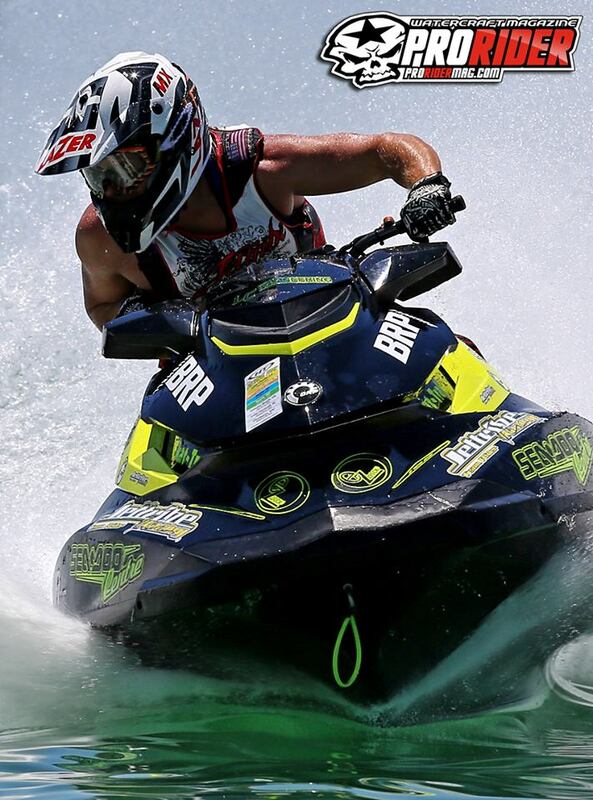 BRP’s advanced concepts and innovation team is world renown for shaping the future of recreational vehicles and has been doing this in the personal watercraft industry for over 25 years. 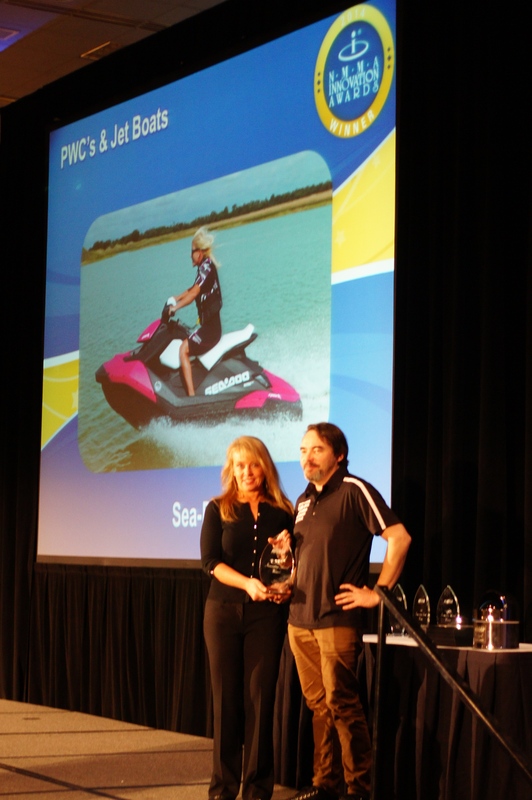 The Sea-Doo watercraft line has set the standard in visual appeal and functionality for the past three decades and never has that been truer than in 2014. The word ‘design’ is generally used to describe how something looks but it is much more than that. Design also describes how things fit and move together. In the realm of vehicles, ergonomics play a significant role in what defines a good design or a not so good design. 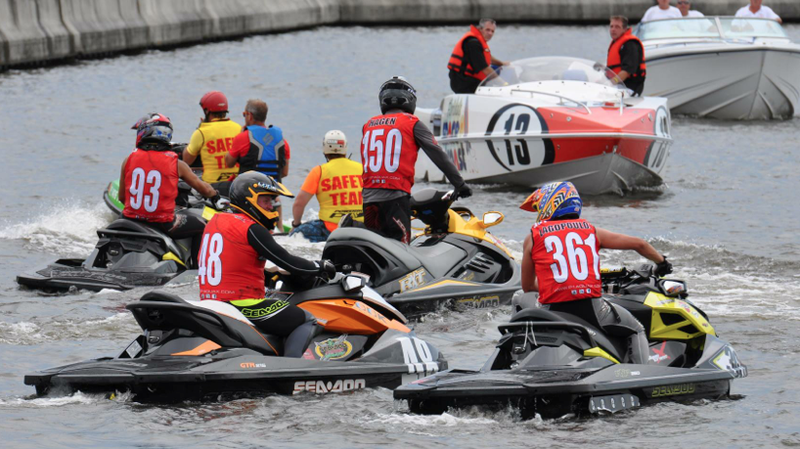 This is where BRP’s design and innovation teams excel, melding function with fashion to the tune of countless design and innovation awards and hundreds of thousands of happy Sea-Doo owners. 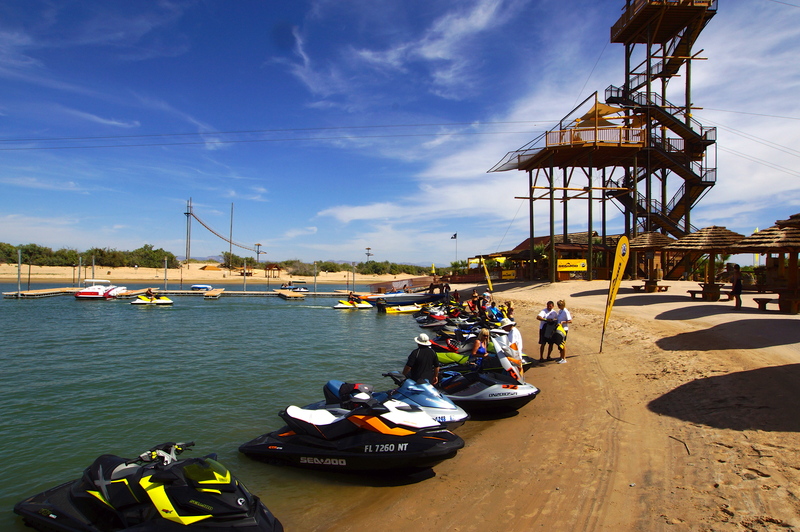 The Sea-Doo line-up includes 16 models, one to fit every watersport enthusiasts’ needs in delivering ultimate fun on the water. 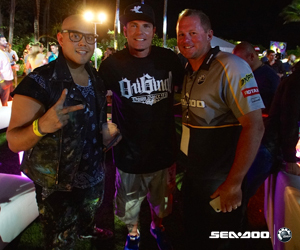 Five segments including Rec Lite, Recreation, Tow Sports, Luxury and Performance help define the Sea-Doo model mix. With every big family there is always the ‘athlete’, the chiseled body of muscle, fleet of foot, and always the one you want on your team. 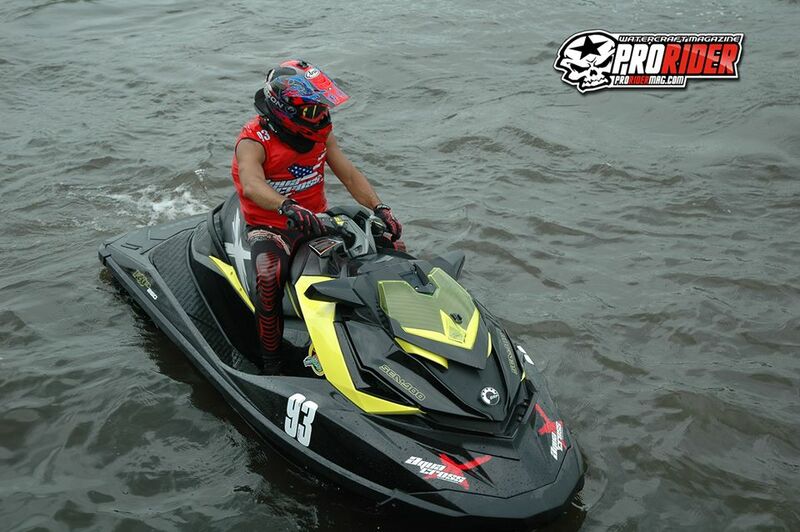 In the Sea-Doo watercraft family the star athlete is the Sea-Doo RXP-X 260. 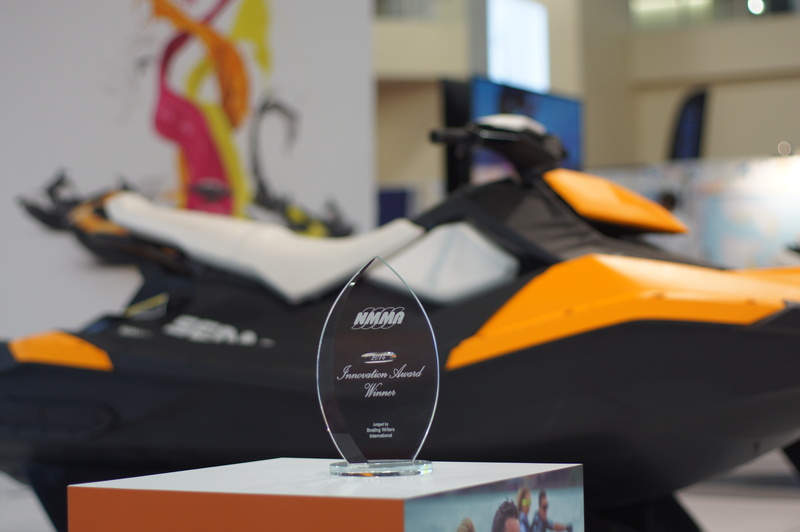 The Sea-Doo RXP-X 260 is the family member with a trophy case full of first place hardware. 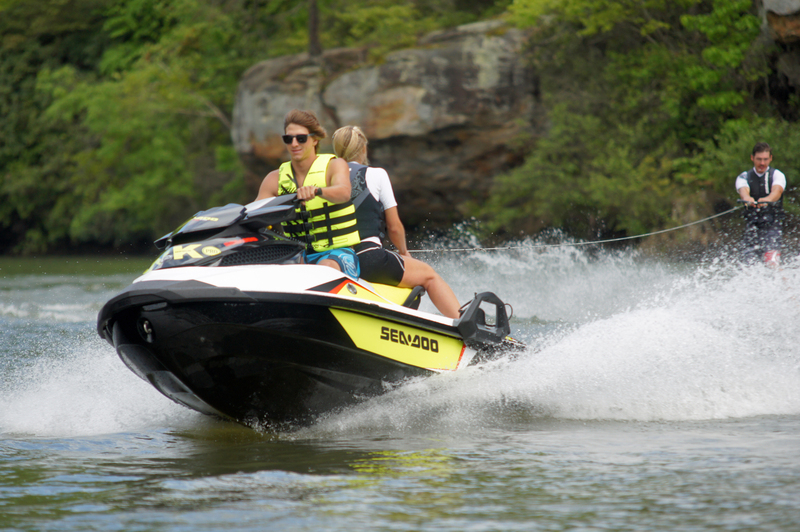 The Sea-Doo RXP-X is the epitome of high-performance on the water with a powerful high-output supercharged engine pushing the watercraft from 0-30 mph in approximately two seconds but what really makes it stand out from the crowd is that it looks fast sitting still. When the BRP design team decides to develop a new vehicle they define the personality of that vehicle and research hundreds of other products to gain inspiration. The team looks at animals, cars, airplanes, but also consumer products such as shoes, watches, and electronics. Some of the more notable inspirations for the RXP-X were stealth fighter jets and sharks. The Intricate ‘flowing facet’ design gives the RXP-X a distinctly exclusive visual appeal. 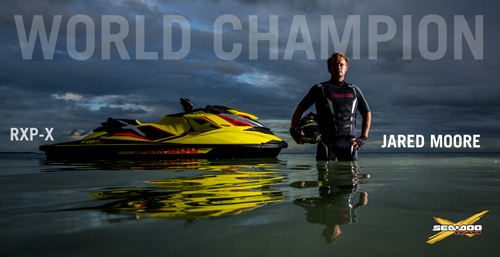 The design philosophy for all curent Sea-Doo watercraft is referred to as ‘flowing facet’ design. This direction utilizes flat surfaces joined together to create a collective shape that flows from bow to stern. 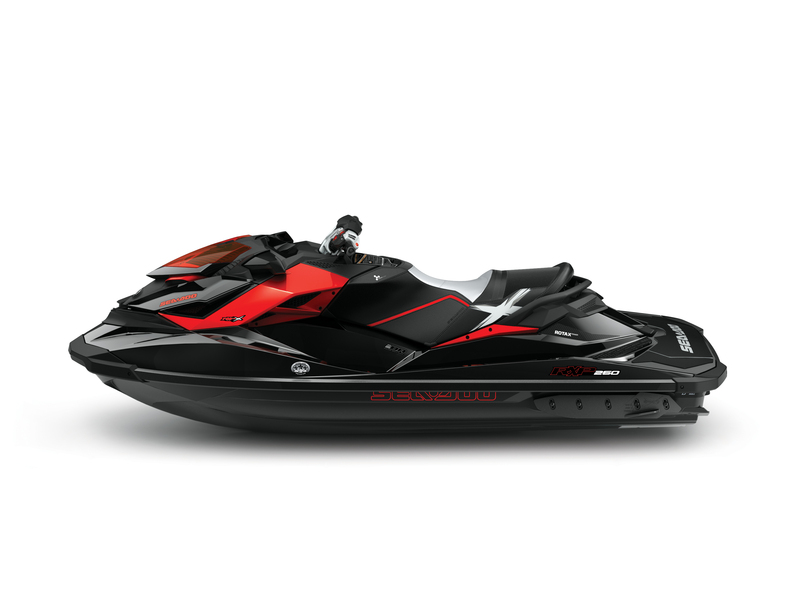 The Sea-Doo RXP-X integrates a much more complex collection of surfaces than the GTI family for instance to capture the true advanced design of a performance machine and to provide the ominous visual presence of the watercraft with greater detail. The shape itself resembles a bull, with a powerful, muscular front half with a more sleek middle section and rear half. The RXP-X’s stance is that of a bull ready to charge. 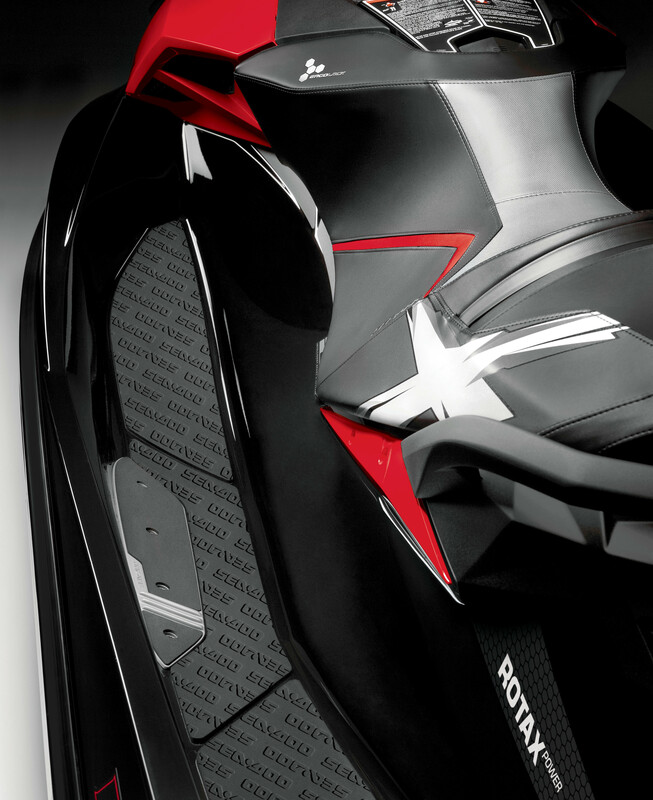 Every level of detail of the RXP-X exudes exclusivity. Some of these exclusive design details include; the transparent hood brow with RXP-X emblem underneath, dual air scoops and the mesh side accents among many more. 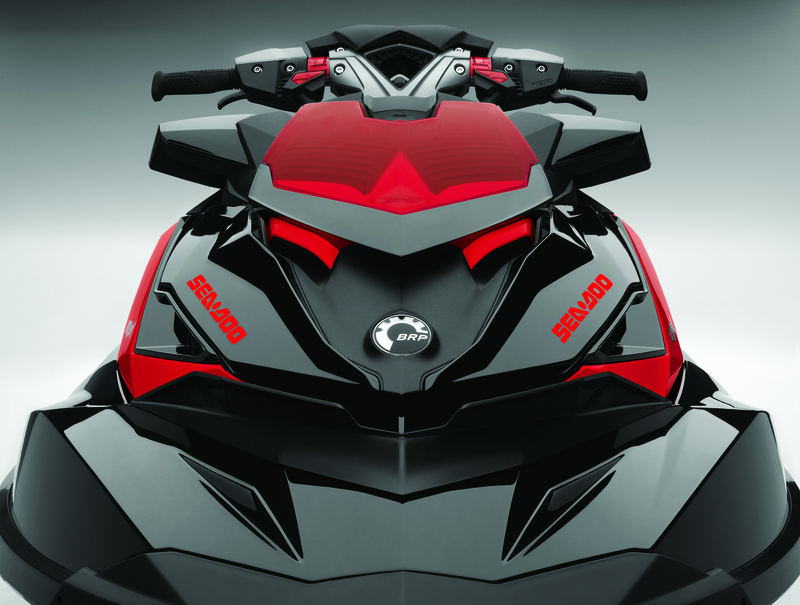 The visual dynamics earned the Sea-Doo RXP-X the coveted Red Dot Design award among many other distinctions but as mentioned earlier, on a recreational vehicle, fashion has to equally meld with function. Perhaps the most innovative design element of the Sea-Doo RXP-X 260 is the one you can’t see when on the water, the T3 hull. The T3 hull stands for tight-turning and outstanding tracking through chop. The design includes three distinctive elements that provide handling closer to a high performance street bike than a traditional watercraft. The hull running surface is a bi-level or multi-staged design with a center pad that drops down roughly 2-inches from the main surface to provide a narrower running pad to cut through chop better while holding its line. The second level provides more lateral surface area aiding in low speed stability. The outside side chines are ‘soft’ or curved rather than ‘hard’ chines with defined angles found on all other sit-down models. The soft chine allows the watercraft to be leaned over further to corner tighter and reduce lateral stress on the driver. The third main design difference of the T3 hull is the aggressive, deep-V keel of the bow with integrated spray deflection elements that provides precise cornering and also minimize bow lowering during heavy deceleration. 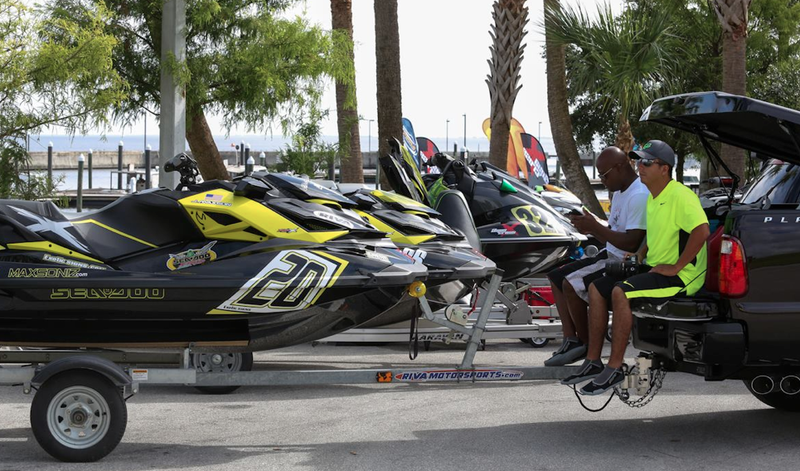 The Sea-Doo RXP-X T3 hull provides a very different handling experience that calls for a different manner for the rider to connect to the watercraft and this is why the Ergolock system was developed in unison. 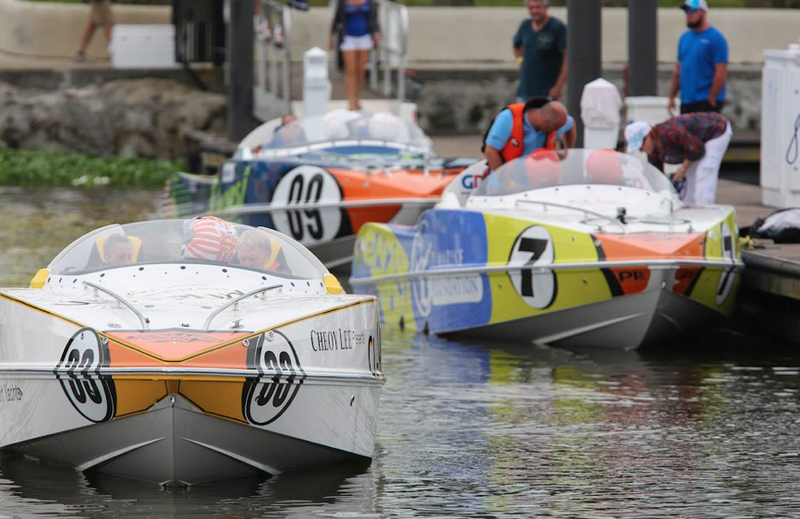 The challenge with modern performance watercraft is how to maximize the performance from a rider perspective, how can the rider access the true potential of the watercraft for an extended period of time? 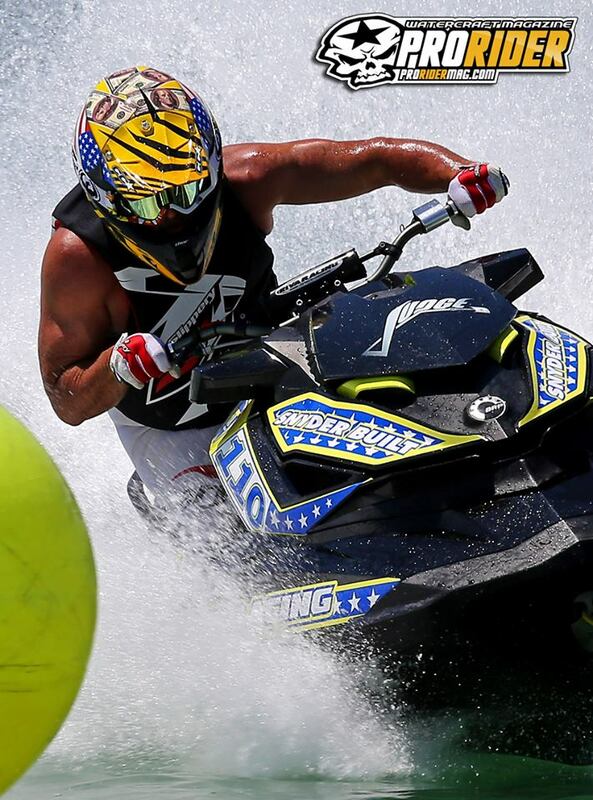 Most performance watercraft place a tremendous strain on the rider’s upper body as most competitive models have relatively large, wide seats placing most of the strain on the upper body causing rapid fatigue. The angled footwell and narrow seat of the Ergolock system. The Sea-Doo Ergolock system moves the rider forward of the engine allowing a narrower seat to be utilized with an integrated cushioned flair in the seat over the riders knees and combined with an inward angled footwell, that naturally cambers the rider’s knees into the seat allowing the rider to utilize the strongest muscles in the body to help hold on better during tight turning. Combined with the AES (Adjustable Ergonomic Steering) system the rider can tap into the true performance potential of the Sea-Doo RXP-X staying on the power longer into turns and earlier coming out with less fatigue. The Sea-Doo RXP-X 260 is the most advanced performance watercraft on the water setting the benchmark in melding fashion and function. The striking flowing facet design provides the detailed look demanded by go fast enthusiasts while the T3 hull and Ergolock system help the rider reach his goals and the RXP-X’s true performance potential. The RXP-X 260 continues the Sea-Doo heritage of setting new benchmarks in design and functionality and is the ultimate performance watercraft.